LEHI, Utah – October 10, 2018 – Tropical Smoothie Cafe, the fast-casual restaurant concept that serves blended-to-order smoothies and bold, flavorful wraps, sandwiches and flatbreads, has selected SynergySuite as its systemwide back-of-house solution, delivering advanced features in the areas of inventory, purchasing, scheduling, food safety and operations. Tropical Smoothie Cafe is implementing the full SynergySuite platform as an end-to-end restaurant management solution, as a replacement to the disparate management solutions currently being used at the cafes. With more than 700 locations, Tropical Smoothie Cafe is one of the country’s fastest growing franchise concepts. Consolidating operations software gives franchisees one, easy-to-use system to maximize efficiency and improve quality. Previously, Tropical Smoothie Cafe franchisees had a variety of back-office solutions being used across locations. Tropical Smoothie Cafe chose to unify all technology, including POS, back office and hardware, throughout the concept to provide a better experience as they grow. 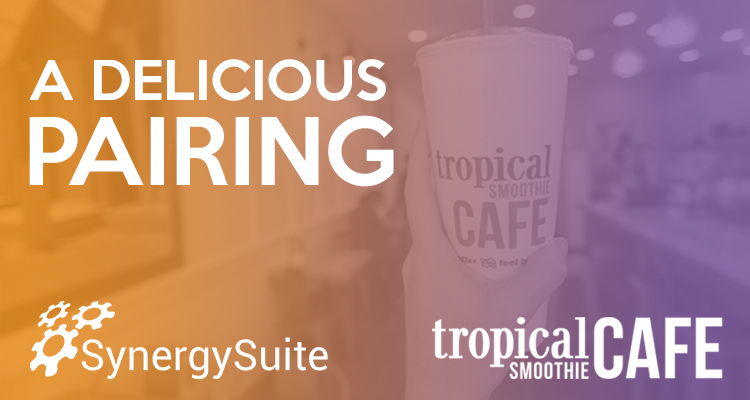 Following a successful pilot, Tropical Smoothie Cafe will roll out SynergySuite’s restaurant management platform to locations nationwide. With SynergySuite, the restaurant management system will tie to each location’s point of sale, supplier and accounting tools for end-to-end visibility. 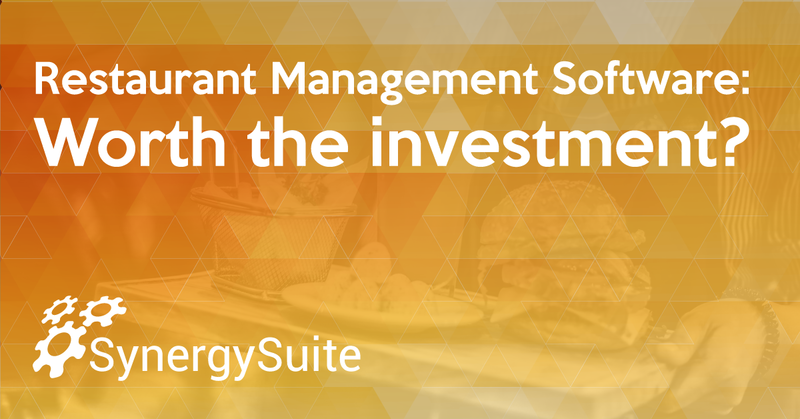 SynergySuite helps multi-unit restaurants simplify operations and increase profitability with an easy-to-use restaurant management software. Businesses have the insights and tools they need to run the back office—all in one place with SynergySuite. Global brands trust SynergySuite’s mobile-first software with inventory, purchasing, recipe costing, food safety, scheduling, cash management, human resources and business intelligence. Tropical Smoothie Cafe is a fast-casual restaurant with more than 700 locations nationwide. Tropical Smoothie Cafe’s menu features blended-to-order smoothies, as well as bold, flavorful wraps, sandwiches and flatbreads. The rapidly growing franchise has received numerous accolades including rankings in QSR’s Best Franchise Deals, Entrepreneur’s Franchise 500, Forbes Best Franchises, Fast Casual’s Top 100 Movers and Shakers, as well as Franchise Times’ Top 200+ and Nation’s Restaurant News’ Fastest Growing Chains.